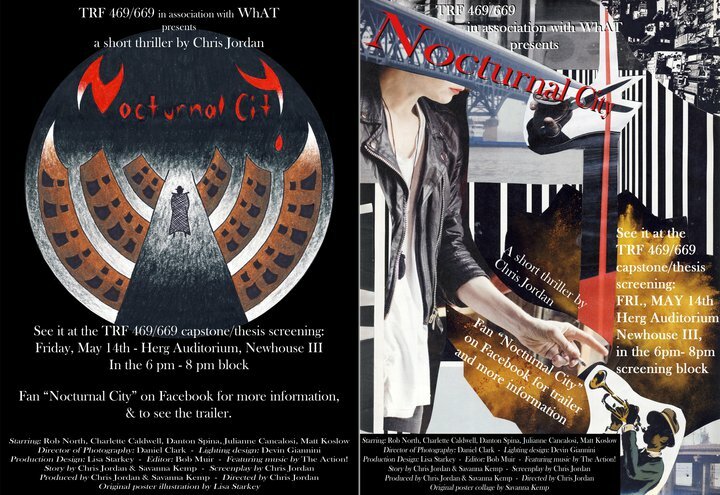 Nocturnal City is an independent film written and produced by Chris Jordan and Savanna Kemp. The film is a short mystery/thriller that has a noir-ish feel despite its modern-ish setting. The main character is a Bogart-type private investigator with one big difference from the classic character archetype: In this case, the PI is also a vampire! And he certainly doesn’t sparkle in sunlight! 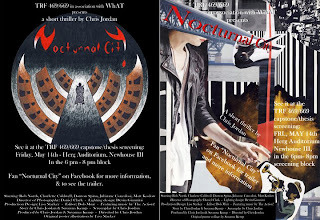 Vampires may be overly used nowadays, but Nocturnal City does something with them I haven’t seen before. The film uses vampirism as a metaphor for homosexuality. To an extent it reminds me of the way Marvel comics uses the X-Men to stand in for minority groups (or used to when I read the book.) The film vampires live alongside “normal” humans but have their own sub-culture, where they interact mostly with each other in places such as vampire-oriented bars. Some humans accept the vampires, but there is also a lot of prejudice towards them. The point of conflict in the film centers on a case where a human is murdered and vampires are suspected. The main character must find out who the killer is before tensions between humans and vampires reach a boiling point. Our protagonist gets involved because of the noir-staple ex-girlfriend. I’ll say outright that this film is not the most professional-looking production. It doesn’t always look great, and some of the acting is very weak. But that’s part of the film’s charm. In fact some things, such as a simplistic fight sequence, work because they are reminiscent of a simpler style of earlier Hollywood film. In conclusion, I’d recommend the film if the genre interests you at all. It’s a short film, so you might as well invest the time and give it a shot. It’s definitely of Donkey Kong value! As a break before posting my next character biography, I thought I’d discuss my statue art today. Recently I did a two piece commission of Colossus and Juggernaut. The really cool thing about doing such work is knowing someone wants the piece when I’m working on it. I have a “list” of sorts that I made up of which pieces I should create before exhibiting at a show. The X-Men are on that list because 1) I love the characters and 2) they are popular and therefore generate interest and sales. 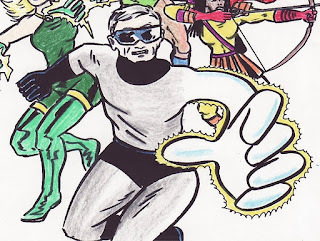 I’ve done the original X-Men and my current goal is to make the original X-Men in their second generation uniforms. I’ll probably continue chronologically. Unless I get an out-of-order request. Making a Colossus statue was great partially because the character, especially in the original Cockrum uniform, is just awesome, but also because he wouldn’t have been on my table for a while otherwise. Commissions and suggestions allow me to create pieces I would not have thought of making by myself. In addition to stretching my creative abilities, such input has allowed me to focus on work that others want to see as much as I do. Oh, and Juggernaut is just too cool also! History: John is a physics professor and researcher at a New York State University. 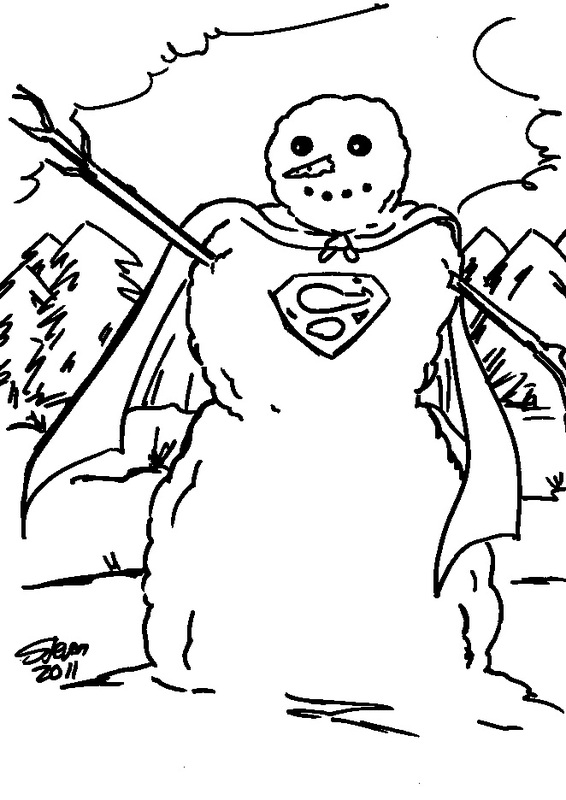 He was working on an alternative energy project with his graduate/lab assistant Arielle Burks when he was caught in a blast of extra-dimensional energy. The experiment involved producing energy from generators in a secured lab area, called the “floor”. John and Arielle were to control the energy flow and observe from a booth. However, there was a malfunction during the experiment, and John, after donning a protective suit, went to the floor to correct the problem. While he was on the floor, he asked Ari to cut back the power, and turned to look at her in the booth. When he looked back, he thought he saw two people in the booth. 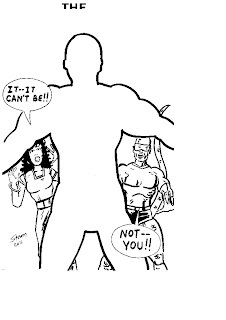 He was unable to further communicate with Ari as that was when the blast of extra-dimensional energy occurred. John found immediately afterwards that he had gain extra-normal powers, and used them to take an unconscious Ari to the hospital. So far he has kept his powers secret to all but a few, including a few other extra-normal powered people and his best friend Roger. Powers: John’s powers appear to be identical to those of the hero known as 1st Man, and include the ability to morph and stretch his body and great strength when he does so. His body transforms when he morphs, becoming glowing and featureless. History: Peter was a high school football star until he was severely injured during a game. Desperate to keep his sports dreams intact, he sought the aid of a criminal scientist who used chemicals, including steroids, to try to regenerate Peter’s damaged tissue. Peter was arrested during the time the scientist was giving him treatments and when questioned by police Peter turned in evidence against the scientist in exchange for a light sentence. After this, Peter went to college and received a degree in business. Unfortunately, Peter was not adept at business and lost a lot of money on risky schemes. Peter owed money to people involved in organized crime, and he was soon recruited as a mob enforcer to pay off his debt. While working as an enforcer, Peter witnessed the murder of a man that was being shaken down for cash. This shocked Peter into leaving his life of crime. He went to the Police and turned in evidence against his mob bosses, again receiving a light sentence for his cooperation. Unfortunately, the mob caught Peter and took him to a secret lab to interrogate him. The criminal scientist who had tried to regenerate Peter’s leg after his football injury was now working for the mob. He injected Peter with a series of truth serums so they could get everything out of Peter that he told to the Police. Eventually, these serums stopped Peter’s heart and he was thought to be dead. His body was disposed of in a river, but instead of dying his body was transformed. He emerged with reptilian features and soon became Lizard Man. Since then, Peter has used his powers to become a popular hero. He is a public figure, and the general public knows his identity and background. When he met the extra-normal heroes 1st Man and Oceanus, he suggested they form a team. 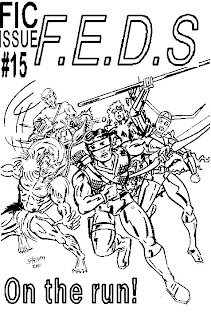 This was the beginning of the super group known as the F.E.D.s (Federation of Extra-normal Defenders). 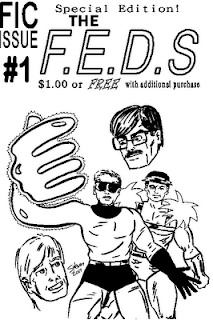 As of 2002, the F.E.D.s are no longer active, but Lizard Man has taken a protégé, a young archer known as Arcurius. Powers: Lizard Man’s lower body has the appearance of a large reptile. His lizard-like legs are incredibly strong, and in addition to using them to kick hard he can also leap great distances with them. He also has a long tail that he has precise control over. His eyes are also non0human looking and he usually wears dark glasses to keep them concealed. 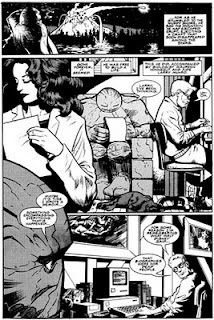 Notes: Lizard Man’s origin was first told in the tale “Hopes, Dreams, and Memories” which first appeared in Oh, Comics #12 and reprinted in Lizard Man special #2. Lizard Man also appears in several other one-shot stories in Oh, Comics #13, #14 (cameo), #15, #17, and #18. 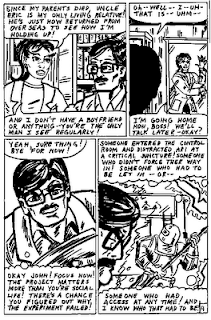 He also appeared in the story “Lizard Man vs. the Car Salesman” in Lizard Man Special #1. All these appearance are in-continuity with his appearances in the F.E.D.s. However, the stories in Oh, Comics #s 17 & 18 represent Lizard Man comics that are available in the F.E.D.s’ continuity. I have just finished my contribution for the 20th Oh, Comics anthology. 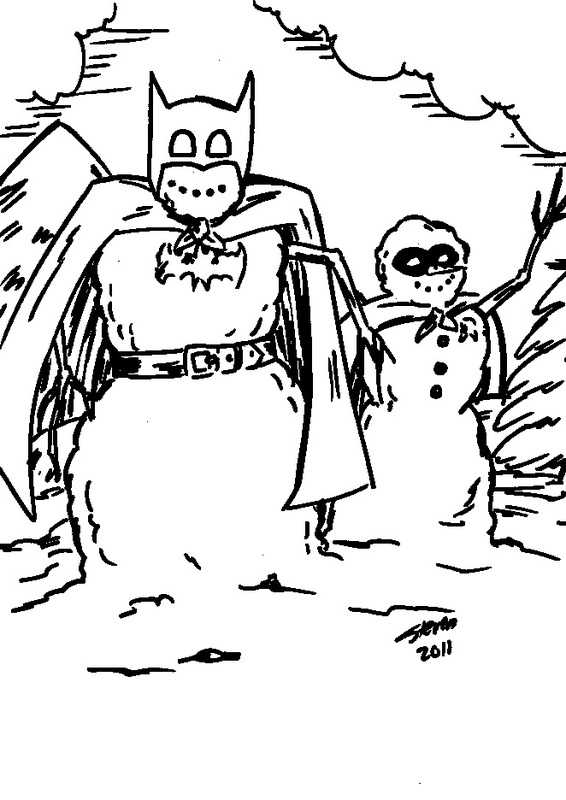 My contribution is an eight-page superhero story that matches the theme of the anthology: “air”. Oh, Comics will be available at the SPACE convention on April 21-22, 2012. SPACE stands for the “Small Press and Alternative Comics Exposition”. 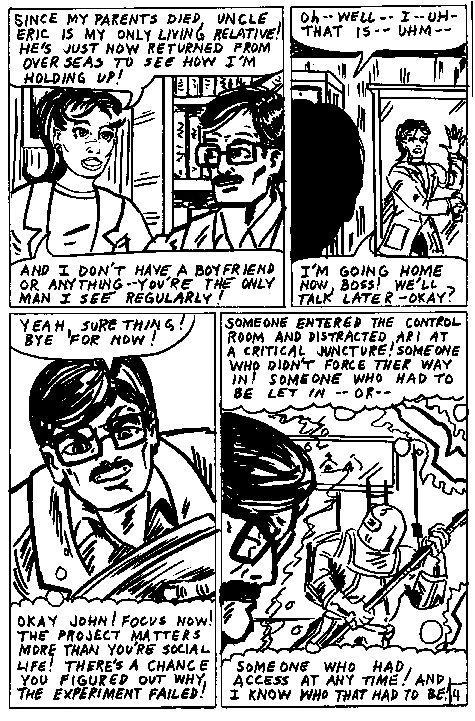 Oh, Comics is an anthology comic that has been produced by SPACE founder Bob Corby starting in 1988. I’ve been contributing since the 10th issues of Oh, Comics. Though issue 20 won’t be out until April, it is possible to get previous issues of Oh, Comics by going to Bob’s website http://www.backporchcomics.com/ . While there you can also find out information about the SPACE convention, at which I will be exhibiting. Finally, if you’d like to check out some of the type of work that gets into Oh, Comics you download the SPACE anthology comics from 2010 or 2011 (both of which include contributions by me). The SPACE anthology is similar to Oh, Comics but is available only in its online pdf format. 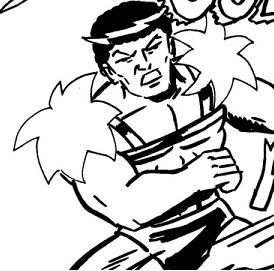 Since there’s still a long wait for Oh, Comics #20 I figured I could post a preview here. This is the first page of my strip, scanned from pencils before I added the lettering and inks. I would like to send out a huge “thank you” to the “model” for my zombie drawing, whom I did not even mention by name in my previous post. She not only allowed me to have a little fun with her image, but also allowed it to be promoted! So let this post be my official THANK YOU to lovely and talented actor and director Lindsey Middleton. You can find out about her projects by checking out her Facebook page , (https://www.facebook.com/#!/pages/Lindsey-Middleton/175033282580094?sk=wall ) and while you’re there you can “like” her (but not LIKE like her). 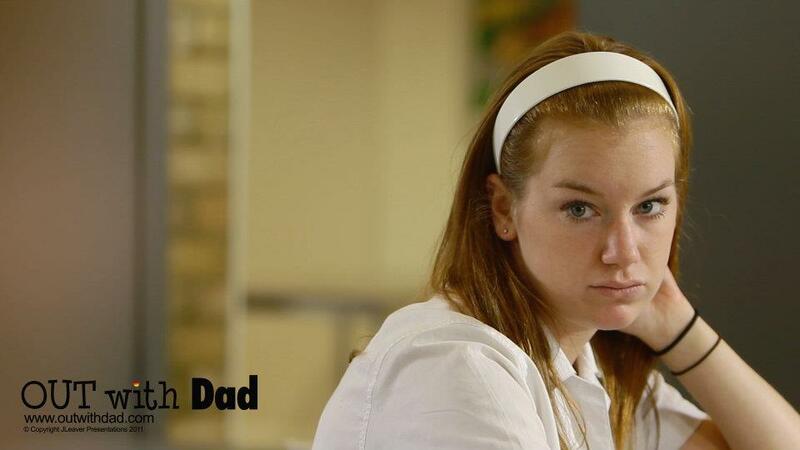 You should also check out this little movie she did (http://www.youtube.com/watch?v=PR1lgSO893Q) , because it’s really clever and funny. And of course she stars in the webseries Out With Dad , (http://www.outwithdad.com/) which I’ve discussed rather extensively in previous posts and cannot recommend enough. So if you haven’t checked out Lindsey’s work I invite you to do so. If you are already a fan, then I invite you to come back and view my blog now and then. I’m sure to do some more Lindsey-oriented posting in the future since it worked so well the first time. Oh, and if you like zombies…I’m sure to do more of them eventually, too!